According to Japanese media reports, on October 4th, local time, the Japanese dragon-class conventional submarine No. 11 "Phoenix Dragon" was launched. The boat used lithium batteries for the first time. It was called "revolutionary breakthrough" by submarine batteries. As we all know, the battery is the main power source of the conventional submarine, and it is also the backup power supply and emergency power supply for the nuclear submarine. Therefore, the performance of the battery directly determines the submarine performance and combat capability. If the battery performance is not good, the power supply is insufficient, the submarine will not run fast, the mobility is greatly limited, the charging time is longer, and the risk of being exposed is greatly increased. For this reason, the development and application of submarine batteries have been highly valued by the world's submarine manufacturers. The lead-acid battery has mature technology, high reliability, good safety, long service life and easy maintenance. However, its shortcoming is low energy density and low capacity. Therefore, it is often necessary to use hundreds of single cells in series, resulting in a large battery. Heavy weight, large space, etc., and must be equipped with a large auxiliary system to ensure work. For these problems with lead-acid batteries, there is not much room for technical improvement and improvement. Compared with lead-acid batteries, the emergence of lithium batteries will theoretically greatly improve the performance of submarines. First, the volume and weight of the lithium battery is smaller. The electric energy generated by the same volume is at least three times that of the lead-acid battery, which helps to reduce the weight of the submarine, save space, and improve the endurance and mobility of the submarine. Second, the lithium battery has a fast charging speed and high efficiency, which can greatly reduce the submarine floating charging time, thereby enhancing the submarine's concealment and survivability. Third, the lithium battery has no memory effect, and does not need to follow too strict battery charging and discharging requirements for extending the life. The submarine can be charged and discharged according to the mission requirements and the battlefield environment, effectively improving the combat flexibility of the submarine. However, due to current technology and process levels, lithium batteries still have many insurmountable problems, so their application prospects are questioned. The first is security. The lithium battery emits more heat when it is used or charged and discharged, and the interior of the submarine is a completely enclosed space. If the heat dissipation problem is solved, the infrared radiation amount of the submarine is increased, thereby increasing the detectability risk of the submarine. It also affects the reliability and stability of the submarine's work, and even causes fire and other safety accidents. Second is the high cost. Under normal circumstances, the cost of lithium batteries is several times higher than that of traditional lead-acid batteries, and the number of lithium batteries required on a submarine is large. 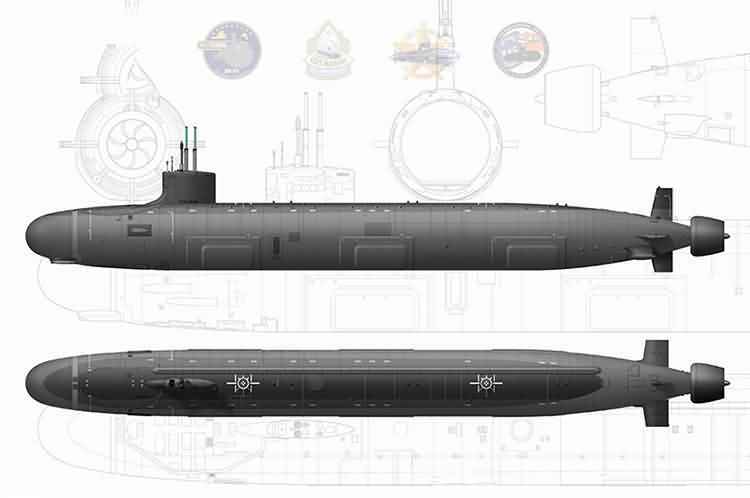 Together with the auxiliary system, the cost of submarines is undoubtedly increased. In view of these problems, the application of lithium batteries in submarines is still in its infancy and is not the most ideal submarine battery. In the future, on the one hand, it is necessary to further improve the manufacturing process of lithium batteries, reduce costs, improve reliability, and gradually increase its promotion or popularity on submarines; on the other hand, it is still necessary to continue to develop batteries for other submarines, such as fuel cells.